By definition, acne is a chronic inflammatory skin condition, which results in ‘breakouts’ of pimples and spots. While acne most typically affects the face, neck, back and shoulders, it has the potential to appear almost anywhere on the body. In addition, acne is most prevalent among individuals between 12 and 24 years old, but can occur at any time of life. What is acne caused by? As for the causes of acne, the condition occurs when excessive oil is produced by glands within the skin, which ultimately blocks the pores and leads to breakouts. However, there is often no specific explanation as to why some are more likely to suffer from over-production of oil and subsequent predisposed to acne than others. What is acne’s most effective treatment? The most effective treatment for acne will be determined by the specifics of the individual case in question. While some cases of acne can be treated with simple topicals, others can be reduced or even eliminated by way of skin resurfacing or laser treatments and chemical peels. Contact the team at HSA Dermal Clinic team today for more information. Here at HSA Dermal Clinic, we strongly believe in the importance of tailored and holistic acne treatment for every patient in London. As every patient is different, logic dictates that every approach to acne treatment should be equally unique. 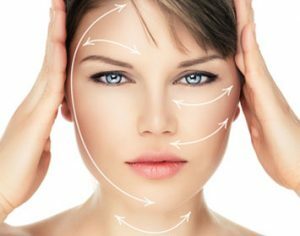 We take a dynamic approach to effective and accessible acne treatment in London, combining cutting-edge techniques with the latest technology and use of the most advanced topicals on the market. However severe or chronic the case may be, you can count on the HSA Dermal Clinic team to go the extra mile. Irrespective of how many acne treatment options you may have tried in the past, there are always countless additional avenues to explore. We’ve built our reputation across London and the surrounding regions by consistently achieving results that go above and beyond those of our competitors. To learn more about the most effective acne treatment options in London, contact a member of the HSA Dermal Clinic team today. Breakouts are bad enough, but the most advanced and chronic cases of acne can leave behind potentially horrific scarring. Often meaning that even when the condition itself subsides, the affected area is left looking unsightly and unhealthy. Over recent years, advances in acne scar removal technology have transformed the lives of millions of acne sufferers worldwide. Here at HSA Dermal Clinic, we offer the most technically sophisticated acne scar removal treatments in London, delivering rapid and lasting results at comprehensively affordable prices. Laser acne scar removal technology in particular is making enormous waves worldwide, precisely targeting problematic areas while leaving the surrounding tissues intact. Used in conjunction with high-quality topicals and supplementary products, there’s never been a better time to fight back against acne scars and restore pride in your appearance. From laser scar removal to premium skincare products to the most advanced chemical peels on the market, you can count on HSA Dermal Clinic to do whatever it takes to make a real difference. Contrary to popular belief, acne isn’t only an issue that affects teenagers and young adults. In fact, even the most advanced and chronic cases of acne can strike at any time throughout life and with no specific cause. Hence the reason why adult acne treatment is becoming an increasingly sought-after service worldwide. Rather than simply accepting your condition for what it is, why not fight back with the most advanced acne treatments ever devised? When everyday adult acne treatment products and general skincare regimes fail, you need to think about taking things to the next level. Here at HSA Dermal Clinic, we offer an extensive range of adult acne treatment options, ranging from chemical peels to advanced laser treatments to courses of premium-quality topicals. We approach each case individually, creating bespoke solutions to suit our clients’ requirements and budgets alike. Get in touch to arrange your obligation-free consultation with one of our experts.